Will Infosys surprise D-Street with a buyback today? Infosys has been firming up at the bourses, gaining nearly 4% in the last few sessions, after the company announced November 01 as the record date for determining the entitlement and the names of the shareholders who will be eligible to participate in the company’s Rs 13,000 crore buyback offer. Infosys is likely to announce its September quarter results on October 24. According to a note by HDFC Securities, investors can use this opportunity for arbitrage and earn around 25% return. The acceptance ratio (proportion of shares accepted to the total number of shares tendered in the buyback by investors, including promoters) for Infosys, HDFC Securities says, could be high as small investors do not take part in such offers. “The data published by the companies on distribution of shareholding in their annual report gives us an idea on the likely acceptance ratio if all the small shareholders (holding from 1 to 200 shares) tender their shares in the buyback offer which works out to be 59% for Infosys. We don’t yet have the data of exact number of shareholders holding shares of market value of Rs 2-lakh as on the record date,” the note says. On the other hand, the brokerage suggests investors use the opportunity for arbitrage. Since the buyback price has been set at Rs 1150 per share, investor can buy from the secondary market now at Rs 935 (Tuesday's closing price) and offer / tender shares in the buyback later – netting a cool 23% return. “Investors looking for short term opportunity can buy the shares (up to the value of Rs 2 lakh – as on the record date) in the open market and offer them in the tender offer. They can earn an absolute return of 25-30% (subject to short term capital gains tax) over the next four months (average time taken from board approval to payout in recent tender offers) leading to an annualised return of 75-90% per annum,” the note adds. That said, one the key risks, according to HDFC Securities, is the acceptance ratio itself. If a large number new investors buy at current price (from now till the record date) with the objective of tendering the shares in buyback, then the acceptance ratio is likely to drop, it says. Also, if the share price of Infosys rises by the time of record date, it could result in lower return. Meanwhile, the company is likely to announce its September quarter results on October 24. Earlier this year, Nandan Nilekani assumed charge as its non-executive chairman after Vishal Sikka resigned as the managing director and chief executive of the company. Market participants will keep a close watch on the developments as Infosys is also likely to spell out its business strategy. Analysts expect the company to cut its FY18 constant currency (CC) revenue guidance, which they say, would be taken negatively by the markets. Nomura, for instance, expects FY18F CC revenue growth guidance to be cut to 5.5 - 7.5% y-o-y (versus 6.5-8.5% y-o-y earlier). Also Read: Infosys crisis and the Panaya deal fiasco: Was Narayana Murthy wrong? A few key things, according to the foreign brokerage and research house, which investors need to watch out for include: 1) the outlining of new strategy post CEO exit; 2) updates on the board and new CEO selection; 3) any business disruption due to the CEO exit and senior management attrition; 4) the outlook on new initiatives (manned by ex-SAP people or external talent brought in by Sikka), where senior management exits have happened recently; and 5) any escalation of costs or pushback in the GST deal. 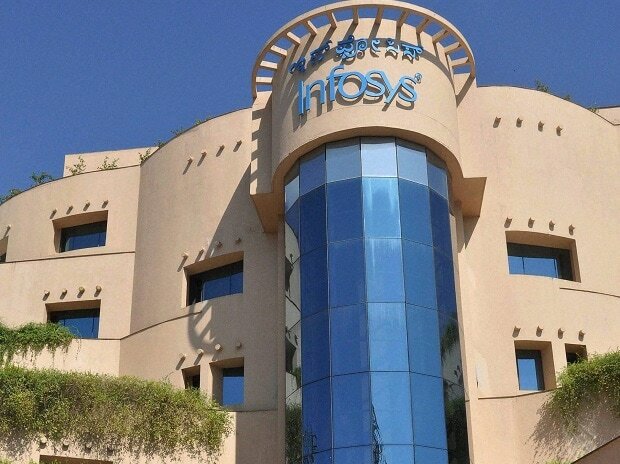 “We expect relatively tepid growth over 2HFY18 for Infosys as we expect competition to become aggressive in its accounts that have invested in Infosys’ platforms. We expect the top-end of the guidance to become very difficult to achieve for Infosys and expect the guidance to be revised to 6.5-7.5% in constant currency terms (vs 6.5-8.5% earlier),” says a result preview note from Ravi Menon and Sarika Thorat of Elara Capital.